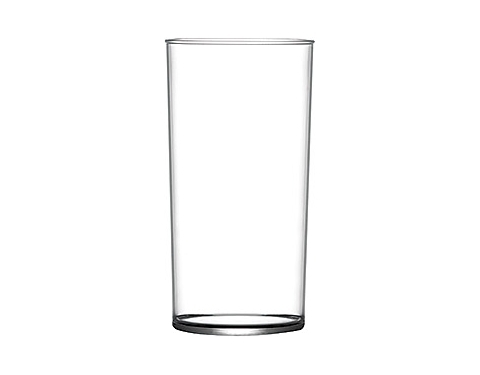 Our economy 10oz Hiball glasses are ideal for parties, clubs, pubs and events and are manufactured in crystal clear polystyrene with an excellent imprint area for your logo and message. The material used is food and drug approved and has excellent clarity, however they will break if dropped on a hard surface. When tested these great value glasses last 100 cycles in a standard dishwasher with no visual detraction. 125 x 63 mm dia.